[Solved]iOS 12/11 Downgrade Stuck on Recovery/DFU Mode/Apple Logo, Etc. "I upgraded my iPhone 7 last night to iOS 11 beta 2 and want to downgrade back to iOS 10.3.2. I downloaded the iOS restore image restored the iPhone in DFU mode but my iPhone 7 gets stuck at the DFU/recover screen. Please help!" 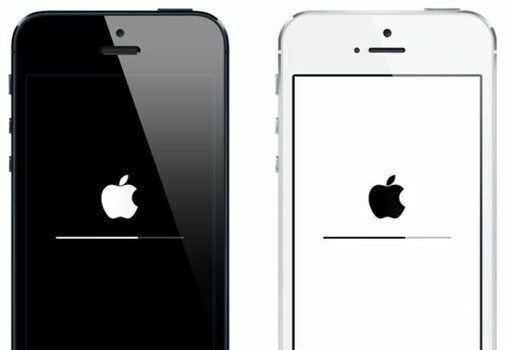 iOS 11 or iOS 12 downgrading gets stuck on recovery mode/DFU mode/Apple Logo/black screen, etc.? Some users upgrade to iOS 12/11 only to find that their iPhone runs slower and apps do not compatible with iOS. However, when they try to go back, the iPhone/iPad gets stuck during downgrading iOS 12 beta/iOS 11.4/11.3/11.2 to iOS 11.1/11.0.3/10.3. Now, in this post, we will show you the top 3 solutions to fix iOS 11/12 downgrading stuck issues efficiently. Sometimes, your iOS device may get bricked during iOS 11 downgrading due to software crashes, software bugs or software conflicts. In this case, a force restart can break the current power cycle and reboot your device to normal. Press and hold the Sleep/wake button and the Home button (Volume Down button on iPhone 7 or later) at the same time. Keep holding the buttons at least 10 seconds and release the buttons when the Apple logo appears. A simple force restart can fix some common iOS stuck issues, but sometimes you'll need a deeper repair to fix a frozen/stuck iPhone/iPad after iOS 11 downgrade. Here we recommend iOS Fix Tool ReiBoot , which can fix all iOS 11 downgrading stuck issues including recovery mode, DFU mode, Apple logo, black screen, white screen, endless reboot, etc. without data loss. To get started, free download and install Tenorshare ReiBoot on your computer. Run Tenorshare ReiBoot and connect your device with the computer. As Tenorshare ReiBoot detects the device, "Exit Recovery Mode" will be highlighted. Just Click on "Exit Recovery Mode" to force reboot your device. Part 2: Fix iOS 11/iOS 12downgrade stuck on DFU mode, Apple logo, black /white screen, reboot loop. Select "Fix All iOS Stuck" on the main interface and click "Start" and follow the wizard to get your device detected. Once Tenorshare ReiBoot detect your device, Click "Download" button to start downloading the firmware package online. After the firmware package is downloaded successfully. Click "Start Repair" to start system recovery. Your iPhone/iPad would work well after system recovery. Moreover, your iPhone/iPad will automatically go back to iOS 10 from iOS 11 beta 4/3/2/1 after repairing. Connect your frozen iPhone to iTunes, iTunes will pop up a window with following messages saying "there is a problem with this iPad that requires it to be updated or restored Click Restore and wait for iTunes to fix your stuck iOS device. That's all for how to fix iOS 11 downgrading stuck issues. If your iPhone get stuck during iOS 11 update, you can read on Top 15 iOS 11 Update Problems and Fixes to get help.